Beautiful Broyhill Saga furniture. 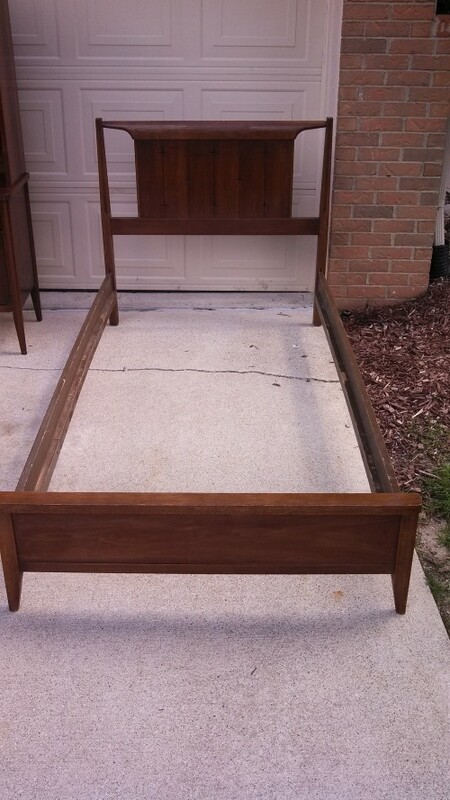 @ twin head and foot boards and frames, Book case with storage cabinet on bottom( 2 pieces), dresser with mirror. Stars carved in wood, trade mark of the Saga brand. Even the mirror has matching stars. 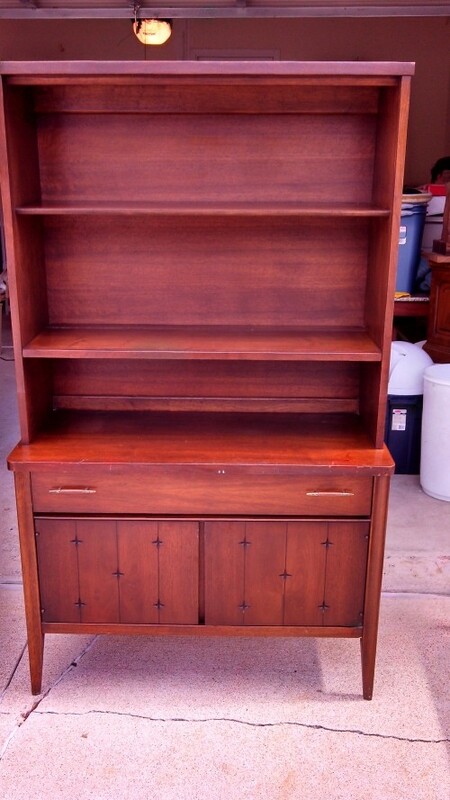 All in good used condition with a few scratches normal for well kept furniture of this age. 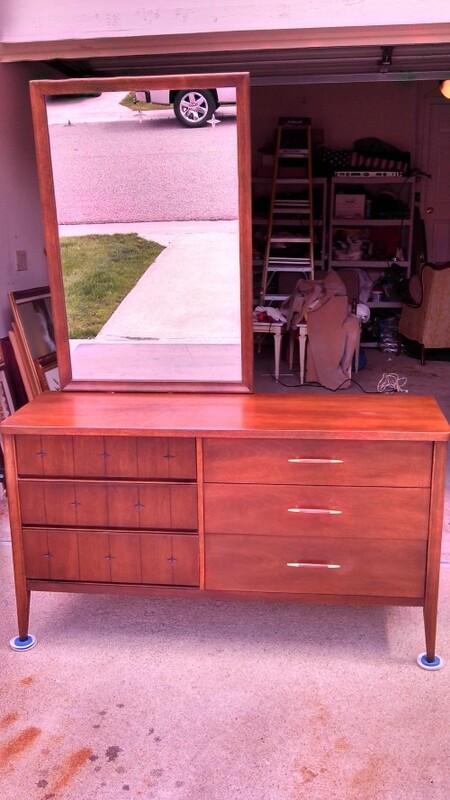 It is all solid wood and could be refinished easily if desired. You would be very pleased to use as is. Thinking beyond the original finish It would be great painted in a bright color with glow in the dark stars for kids room!!! The shading in the pictures look different color all the pieces are dark walnut finish. I found this at a estate sale and don't have the space for it. All the sets I have researched cost at least $300.00 more. This is a great buy.